We have several projects with our customers and suppliers and we are always eager to listen if sustainable projects are being suggested. If you have an idea on how we could become a more sustainable business do not hesitate to let us know. 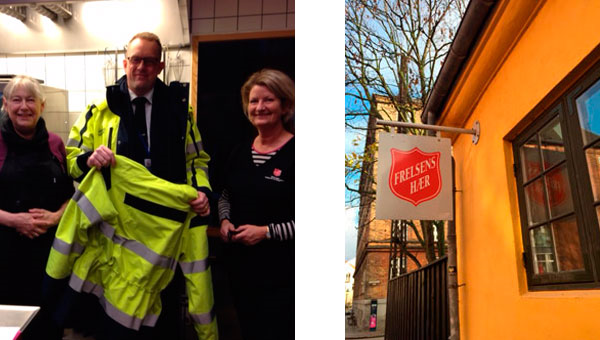 When the uniform jackets from employees of Copenhagen Airport need to be replaced they can still benefit others. 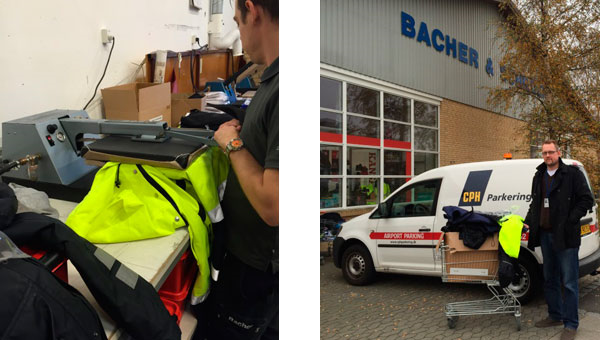 The company policy states that jackets and uniforms with logo must not be delivered to anyone other than employees. Therefore Bacher A/S has agreed to makes a neutral logo, and put this on top of all company logos. In this way the clothes can benefit a vulnerable group of people and thus also reduce waste.